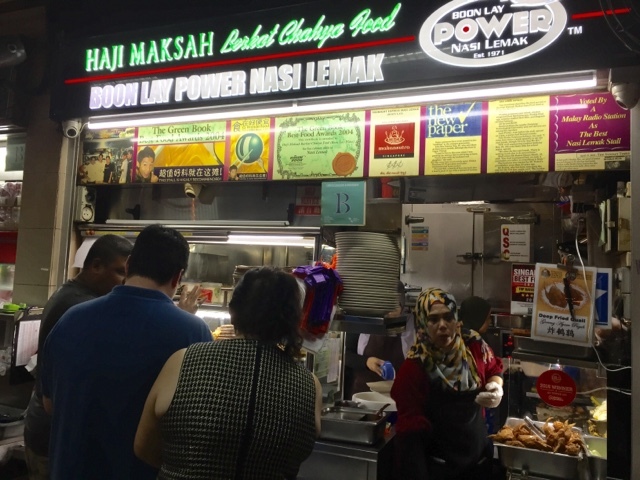 Boon Lay Power Nasi Lemak - Got Power! A good Nasi Lemak has to have rice thoroughly infused with the aroma of coconut cream and pandan leaves, accompanied by crispy anchovies and peanuts. 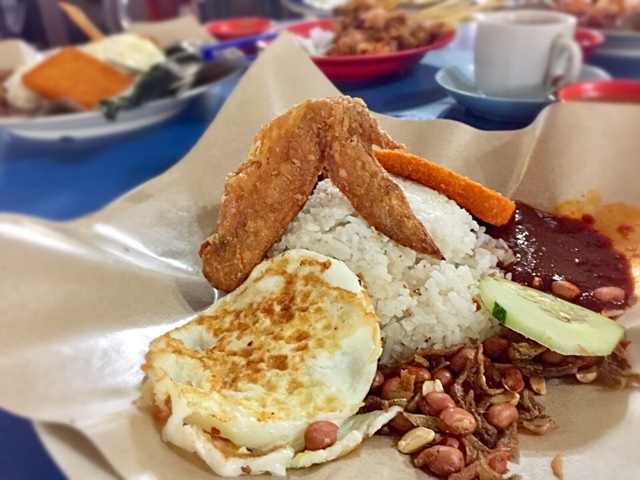 Piping hot and large chicken wings are also a must have in a "powerful" Nasi Lemak. The chilli also has to be able to complement the rice very well, spicy and slightly sweet. The fried egg has to be served fluffy and slightly runny. So how does the Boon Lay Nasi Lemak measure up to these criteria? 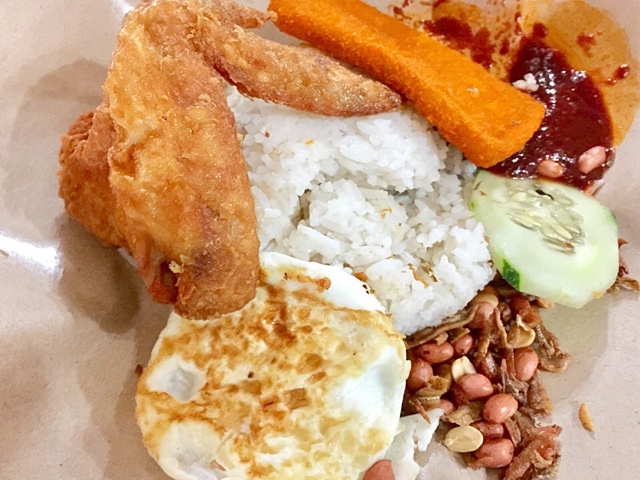 Boon Lay Power Nasi Lemak was highly recommended by my colleague, who was also my NTU hostel mate. Back in the days of studying at hostel, midnight suppers were a common sight. Boon Lay Power Nasi Lemak was one of the indulgence we had for supper. Tucking in my Power Nasi Lemak brought back wonderful memories of my fun hostel days. 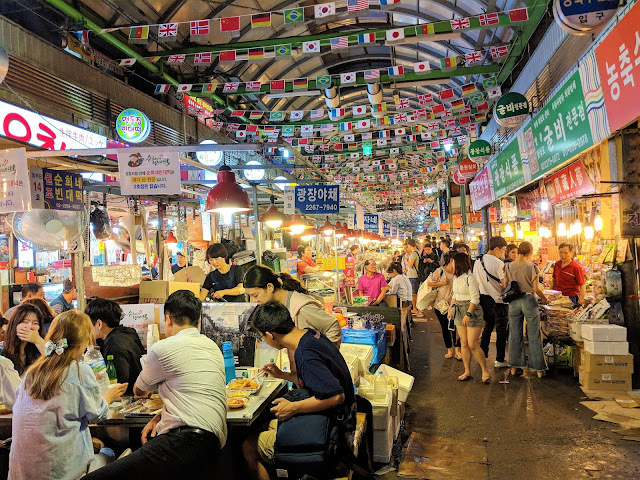 A long queue had formed when we arrived on a weekday evening. There was an estimated of 15 pax in the moving queue. When we got our Nasi Lemak, it looked very appetising. There were many additional items to choose from. We added the fish fillet. We had the fish fillet in mind but we told the staff to add fish cake. When they discovered our mistake, they were very patient and nice about replacing our fish cakes with the intended fish fillets. A tick for good service! The chicken wing was huge, hot, crispy and very well marinated. Tick! The rice was slightly different from the usual Malay Nasi Lemak - the grains did not stick together. I prefer my Nasi to be slightly stickier. I had to give it another tick because there was a nice aroma of coconut cream. The chilli was powerful enough. Tick! Crispy and generous serving of anchovies! The only missing tick was the egg. It lacked the usual fluffiness and the egg yolk was overcooked. 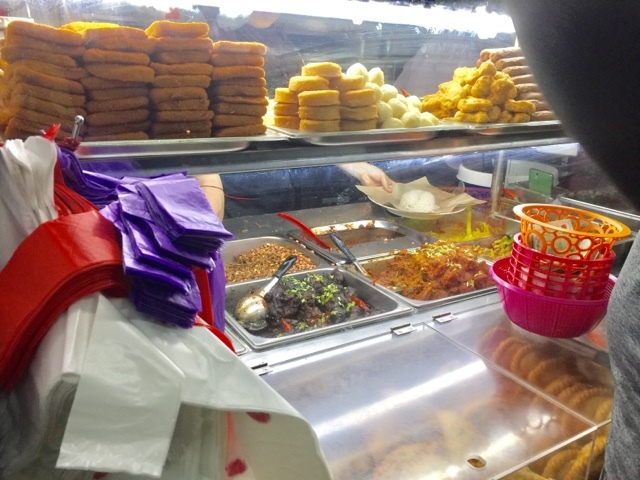 I did not have the luxury of mixing soft egg yolk with the Nasi Lemak and chilli. It was definitely a delicious Nasi Lemak. 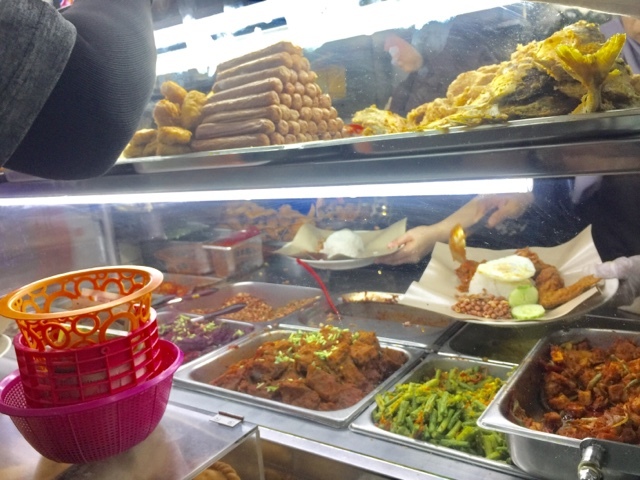 I still prefer the Nasi Lemak in Changi Village Hawker Centre. One of my favourites is the Nasi Lemak from Mizzy Corner but their Ikan Kuning was not crispy enough. I am still on the look out for extremely crispy fried Ikan Kuning. Please leave your comments if you know of delicious Ikan Kuning. Overall, I enjoyed Boon Lay Power Nasi Lemak. If you are popping by the West area, it is highly recommended. As it opened way past midnight, it is also highly recommended for supper!